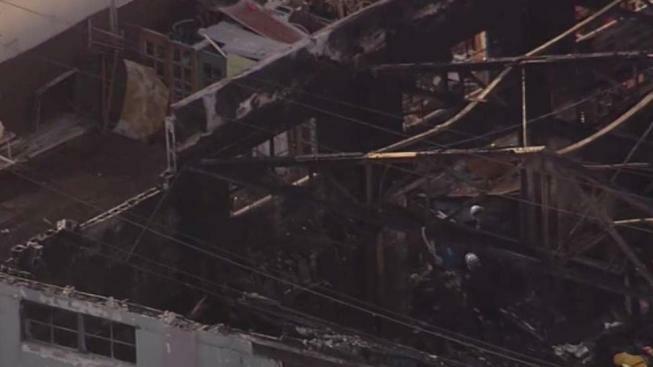 One of two men charged with involuntary manslaughter for an Oakland warehouse fire that killed 36 people will seek his release Friday from jail on bail. Pete Suratos reports. A judge on Friday refused to free from jail on minimal bail one of two men charged with involuntary manslaughter for an Oakland warehouse fire that killed 36 people. Alameda County Judge Kevin Murphy said he is concerned that Max Harris' ties to Northern California aren't deep enough to support him while he awaits trial on 36 counts of involuntary manslaughter. Murphy set bail at $750,000. Harris' bail was previously set at $1.08 million. "He is extremely disappointed," said Tyler Smith, one of Harris' three attorneys. Smith had argued that involuntary manslaughter is "not a serious felony" and that Harris didn't pose a danger to the public. Smith also argued that Harris' lack of a criminal record made him eligible for release without having to post bail. "We are not here because Max Harris is a horrible person," prosecutor Autrey James said. "A mistake was made that cost the lives of 36 people." James also said relatives of two victims wrote letters opposing Harris' release on minimal bail. James didn't identify the families. The judge said he had a legitimate concern that Harris, 27, has lived in Oakland for about four years without steady employment. Harris was arrested in June in Los Angeles. Smith said it's doubtful Harris can post the reduced bail, but he said a fundraising effort among his friends in the artist community had started. Harris waved to two friends in the gallery, both of whom declined comment outside court. Harris and Derick Almena, 47, are each charged with 36 counts of involuntary manslaughter for the Dec. 2 fire. Each face 60 years in prison if convicted. Neither man has entered a plea. Almena's lawyers are scheduled to make the same argument for bail reduction on Aug. 4, when both men are also scheduled for an arraignment. Almena rented the warehouse, and prosecutors say Harris helped him sublet living space in the building. Alameda County district attorney Nancy O'Malley said the pair turned the warehouse into a "death trap" by illegally converting the building into an entertainment venue and housing for artists. O'Malley argued that once the men rented living space to tenants, they were responsible for the installation of sprinklers and to ensure the building was safe. Instead, the men cluttered the warehouse with flammable materials, O'Malley said. Lawyers for the two men argue that the fire should not have resulted in criminal charges. They say that Harris and Almena are being charged to distract from the region's lack of affordable housing.